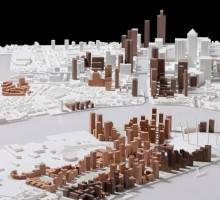 Developers have submitted a revised masterplan for the £5 billion Greenwich Peninsula mixed use development in East London. 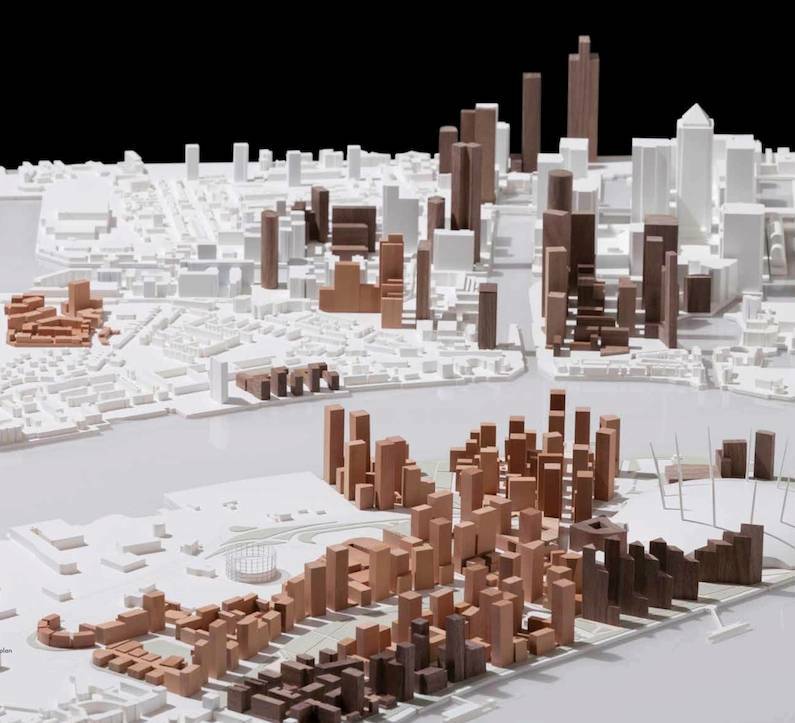 The new plans not only increase the number of homes on site but also include a greater focus on digital arts and media studios as well as more high rise buildings in keeping with London’s current predilection for tall buildings and emphasising the shift in London’s centre of gravity eastwards. 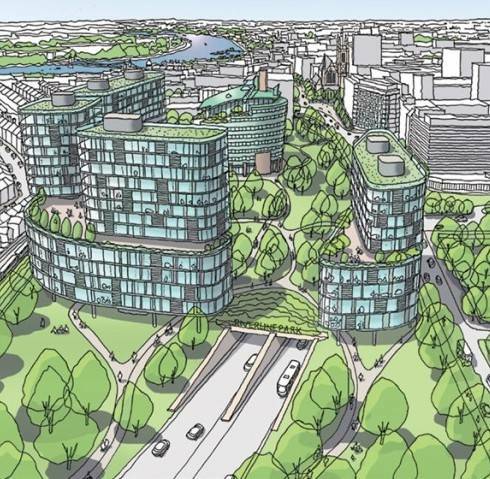 The original plan, created by Farrell & Partners and dating back to 2004 are described as outdated by developers Knight Dragon, who have submitted the new mixed use plan for around 15,000 dwellings, 59,000 sq.m. of hotel, retail and recreational space and 60,000 sq.m. of office space as well as a design district, space for healthcare buildings, educational facilities, transport hubs, visitor attractions, parking, cycling paths, community facilities and parks. Deloitte has launched a new report into the Technology, Media and Telecommunications sector in the Middle East. Deloitte predicts that 2015 will be ‘pivotal’ for Digital Islamic Services as they start to take off across the Middle East region. The report estimates that within the next three to four years the region’s digital economy will nearly double in size from around US$15 billion currently to around $30 billion by 2018. The predictions are based on hundreds of discussions with industry executives, analysts and commentators, along with tens of thousands of individual interviews. The report also predicts that Gulf Cooperation Council (GCC) countries will make significant open data advancements in 2015, and within the next three to five years, break into the top half of countries ranked the most ‘open’ in the world. 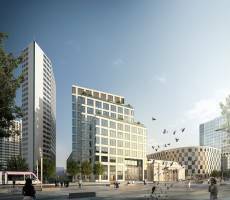 Banking giant HSBC has announced the relocation of its core banking business for personal and business customers to the Arena Central development in Birmingham. The move will see the bank take a long term lease on a 210,000 sq. 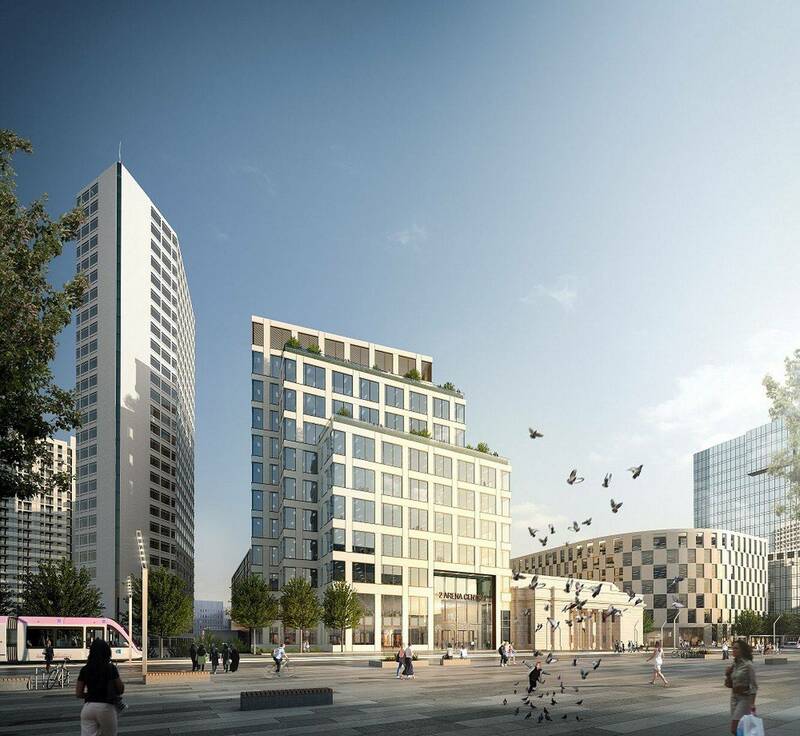 ft. office and relocate around a thousand employees to the new headquarters building from London over the next four years. The choice of location follows a review into the bank’s operations and its ability to service the needs of some 16 million customers in the UK. The West Midlands is the UK’s second largest financial centre after London, with some 220,000 employees across the region. Two years ago, Deutsche Bank completed a deal for 200,000 sq. ft. of new space at Brindleyplace and earlier this year, the local council announced plans for the Snow Hill area in an attempt to create an alternative to London’s Docklands. 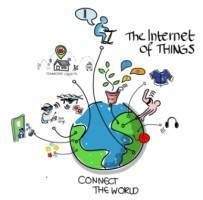 A new study from technology market research firm Gartner predicts a near tenfold increase over the next five years in the number of devices connected through the Internet of Things. The study, Smart Cities Will Include 10 Billion Things by 2020 — Start Now to Plan, Engage and Position Offerings, claims that there are currently just over a billion connected devices worldwide but that by 202, the number will rise to 9.7 billion. The key driver for the uptake of these devices will be the new generation of smart cities which rely on sensors embedded in infrastructure to allow authorities to monitor activities such as traffic levels, availability of car parking, the use of energy in street lighting and so on. The idea is that the sensors deliver real time data to allow planners and administrators to make better decisions about resources and infrastructure. In yesterday’s budget announcement, the Chancellor maintained the Government’s focus on regional devolution and investment in both physical and digital infrastructure. In truth, there was little surprising in the announcements, many of which had been signalled in advance and were rooted in existing policies. Some of them arrived fully formed, such as the devolution of powers related to business rates. Others, including the much talked about and overdue investment in regional infrastructure such as the cross country fast rail link, were fleshed out. Given that this is a budget with both eyes on the forthcoming general election, it’s a shame that some announcements lacked detail. Here are six of the key announcements that will affect the workplace, technology and property sectors. Headlines about the world’s accelerating taste for skyscrapers tend to be dominated by the big numbers. This is a world in which size is important, but get behind the focus on height and you find some very interesting data about the rapid and significant changes in what these tall buildings are actually for and how this chimes with broader changes in the way we create and use workplace and shared spaces. According to the most recent annual report on the world’s skyscrapers from the Council on Tall Buildings and Urban Habitat, last year was a record breaker with 97 new skyscrapers completed globally. The devil here is in the detail. 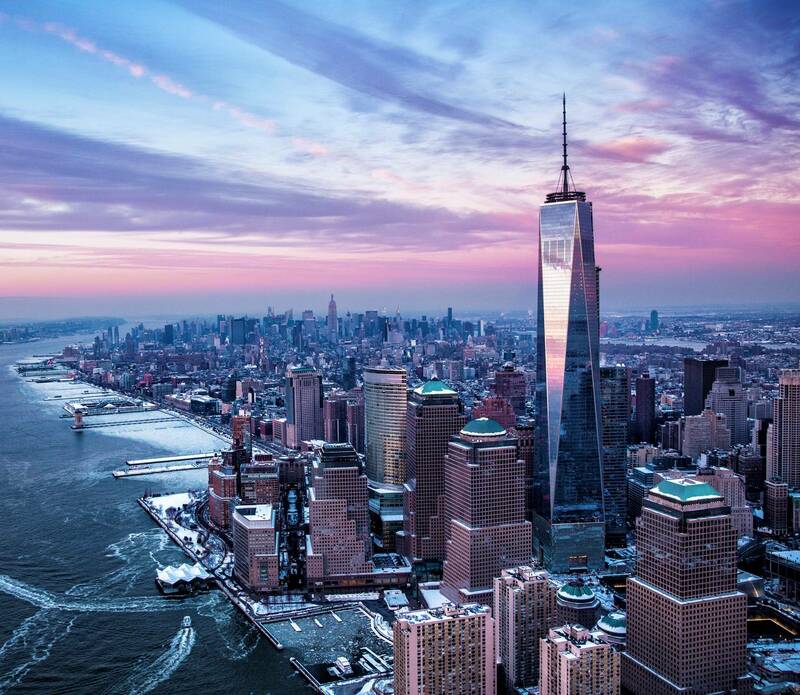 While the world’s tallest new building was One World Trade centre in New York, the overwhelming majority of new skyscrapers are to be found in Asia generally and China in particular. 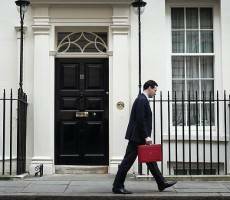 According to reports in today’s Times, two of the key commitments in this week’s budget announcement will be a commitment to the development of the UK’s technological infrastructure as well as more details on plans for the UK’s regional economies. What is telling about both is they signal an overdue recognition that the vast majority of the UK’s inhabitants don’t live in London and even those that do find it increasingly unaffordable and unattractive. Accordingly, the first communities to be targeted for superfast and ultrafast broadband will be those in the remotest parts of the country, which until now have been those most at risk of being in the slow lane of technological developments. The Times reports that until now about 1.5 million homes were due to miss out on a pledge to give 95 per cent of people access to fast internet by 2017. The Mayor of London has revealed the latest plans to move the city’s pedestrians, bikes and cars underground and elevated on decking. 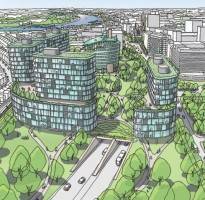 The latest proposals would see a number of the capital’s major roads mounted or buried with the space saved at ground level converted to greener and more pleasant uses (and property development obv). An announcement from the Greater London Authority claims that over 70 sites across London have been considered for the scheme which will include new tunnels, fly-unders and decking. It follows hard on the heels of another proposal to create the Underline, a network of cycle lanes and walkways based on the city’s existing web of unused tunnels. 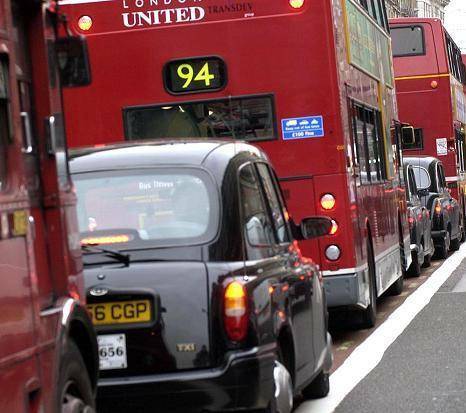 The roads proposed for the new scheme include the A4 in Hammersmith, the A13 in East London and sections of the North Circular Road. Land Securities has confirmed it has bought the leasehold to the 1.9 acre site located at the western entrance to the Liverpool Street Crossrail station for £16.5 million. 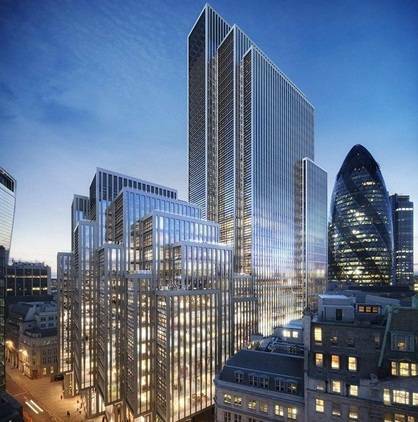 Plans for the site, at 21 Moorfields, EC2, which currently comprises vacated 1970s offices and a Transport for London (TfL) worksite, include two new buildings totalling approximately 500,000 sq ft of predominantly office space, with some retail at ground level and a public realm. 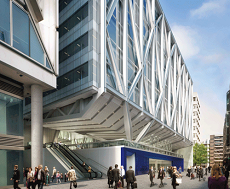 The two proposed buildings will provide direct access to the underground and the new Moorgate Crossrail station below – due for completion in 2018. 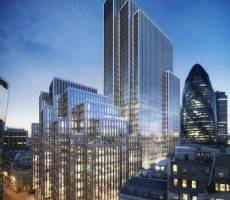 Land Securities entered into a conditional agreement to acquire the site in December 2012 and has since negotiated to own the site on two separate 250 year leases, with TfL having the option of participating in the development. The main obstacles to the implementation of urban infrastructure are those raised by the organisations and people who do most to champion them. That is the standout finding of a new report, Urban Infrastructure Insights 2015, published by the Economic Intelligence Unit and FCC Group. 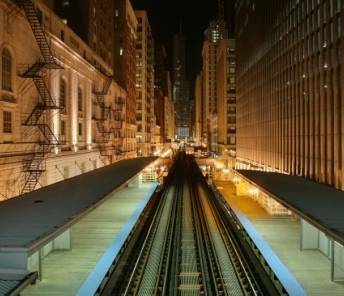 The survey of more than 400 business leaders and policy makers worldwide found that a majority believe the greatest impediment to the development of urban infrastructure is a lack of will and skill amongst civic leaders and officials. Lack of political will was cited by 40 percent of respondents, alongside a lack of skills among officials (39 percent), and poor governmental effectiveness (34 percent). Lack of funds was cited by 34 percent. Policy makers were especially scathing about city leaders with more than half citing their lack of skills and knowledge. The world’s taste for skyscrapers continues unabated according to a new report from the Council on Tall Buildings and Urban Habitat. While the numbers of new tall buildings in Europe, the US and Australia remains relatively subdued, those in the Middle East and Asia continue to grow, making up the overwhelming majority of the 97 new skyscrapers completed in 2014, a new record. The report also highlights large differences in the scale of buildings across the world. While Europe’s largest completed tall building the Leadenhall Building (or Cheesegrater) at 224m was only marginally above the cut-off height of 200m, China completed no fewer than 58, the tallest of which was the mixed-use Wharf Times building in Wuxi at 339m. A new report from Juniper Research claims that traffic management and parking systems in the new generation of smart cities will reduce global carbon dioxide emissions by some 164 million metric tonnes (MMT) over the next five years, equivalent to the emissions of 35 million vehicles annually. The report also claims that this will transform the lives of those who live and work in cities as it manages the 700 million vehicles that will travel around the world’s cities in 2019. The report, Smart Cities: Strategies, Energy, Emissions & Cost Savings 2014-2019, claims that high levels of city traffic congestion combined with advancements in ‘Internet of Things’ sensors and software solutions has driven plans to reduce high traffic levels through smart initiatives.